We just completed 5 causes with total goal of 7 500 km for free internet kindly provided by our sponsor Vivacom. 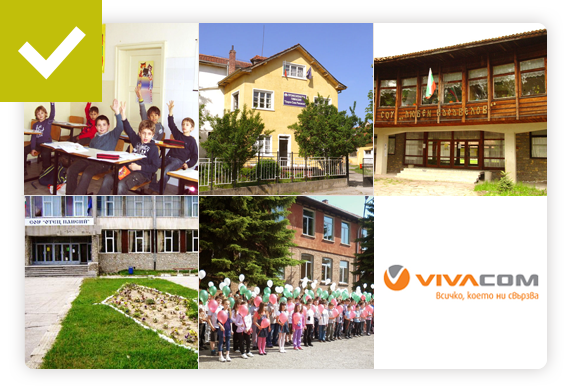 The schools are located in 5 different cities – Samokov, Kostinbrod, Koprivshtica, Kostenec and Sofia. The cause for the school in Koprivshtica was completed in just a day and the last one was finished for 17 days. A big thank you to all that participated and to our sponsor Vivacom.